Our range of products include hmi par light, can high speed 4k, hmi asymmetrical flood light and hmi symmetrical flood light. Facilitated by the technically advanced process, we are presenting a distinguished collection of HMI Par Light which comes with stand mounting and grid mounting system, this par light is manufactured with superior grade material and HMI technology. Offered par light is available in several specifications to fulfill the diverse needs of clients. We are successfully ranked amongst the top manufacturer, exporter and supplier of Can High Speed 4K. The offered products are tested on quality provisions for supplying a flawless range. 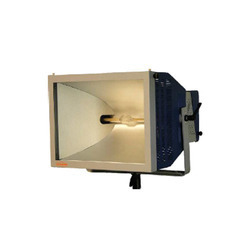 We are counted amongst the foremost manufacturer, exporter and supplier of a wide collection of HMI Asymmetrical Flood Light. 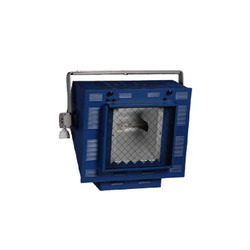 The offered flood light is designed by our professionals as per the set quality norms by utilizing the finest quality material and advanced technology. 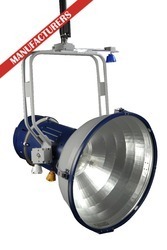 We hold expertise in offering our clients a wide range of HMI Symmetrical Flood Light. This flood light is designed using the finest material and sophisticated technology under the observation of our experts.